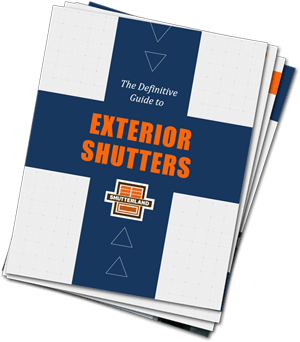 It can be overwhelming to determine the best material for exterior shutters. There are a number of legitimate options with advantages and disadvantages of each. Intended use, durability, maintenance, price, style, local regulations, and appearance all contribute to the final selection. Some exterior shutter materials can be installed to rotate and close over the window opening. Operable outdoor grade hinges screw or bolt to the window shutters to permit movement from side to side. Wood exterior shutters are extraordinary suited for this purpose. 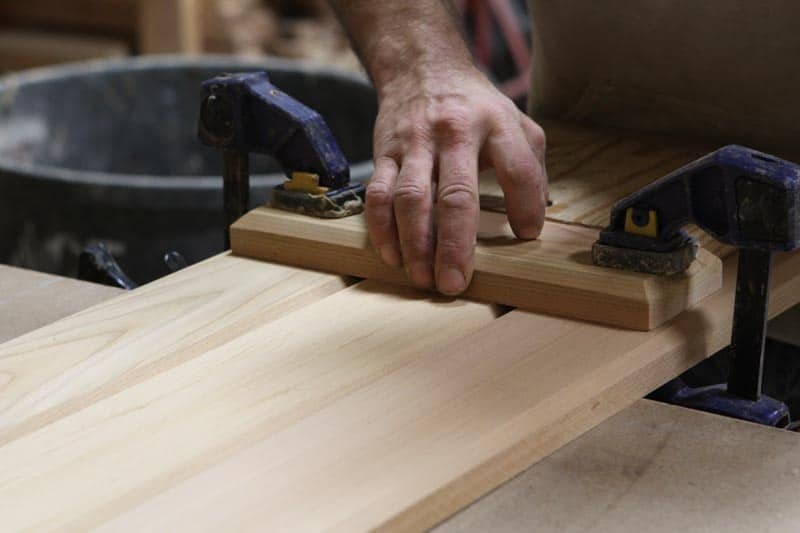 Redwood, Cedar, Mahogany, and Pine are all solid lightweight materials that comfortably hold hardware in place. And wood is the only material recommended for Bahama style shutters that fasten to the window top, permitting the panel to tilt away from the window at the bottom. Composite shutters can be installed with functional hardware, but there are drawbacks. First, composition of the material is extremely dense, resulting in shutters heavier than their wood counterparts. So large composite shutters may require additional hinges for support. Finally, the backs of composite shutters are constructed with no detail. Rotating a panel closed to reveal the back will result in a suboptimal appearance, which may be acceptable for storm protection or privacy issues. Vinyl shutters are manufactured with four sides and a front. The material is approximately 1/8 inch thick, so it is essentially a shell that gains rigidity from the structure on which it is attached. Therefore, vinyl shutters are not independently stable enough to be installed with operable hardware. All exterior shutter materials can be installed permanently in a stationary position to the building. Composite is easily the most resilient material for exterior shutters. 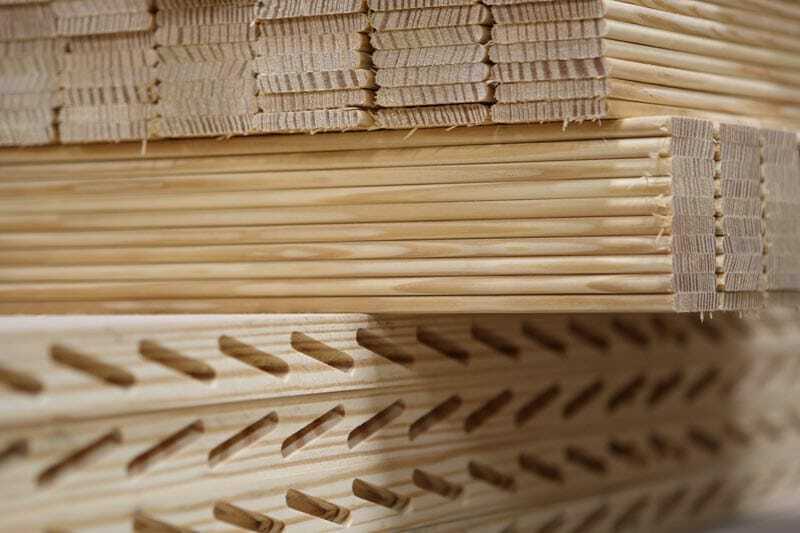 Manufactured from pressed small wood particles and marine grade resins, composite shutters can endure the most frigid winters, rainiest monsoon seasons, or sunniest desert. Composite shutters require less maintenance because there is no expansion and contraction when weather conditions change. Despite their minimal structure, Vinyl shutters are almost impervious to the elements and virtually maintenance free. Colors are molded through the material with UV-inhibitors to minimize fading and moisture has little impact on this hardy material. Wood exterior shutters have been used for centuries on homes throughout the world to varying degrees of success. Poorly built wood shutters may only last only a few years or even months, while carefully crafted shutters can dependably serve for decades. Selection of a time-tested exterior grade species is imperative to the longevity of the resulting shutter. 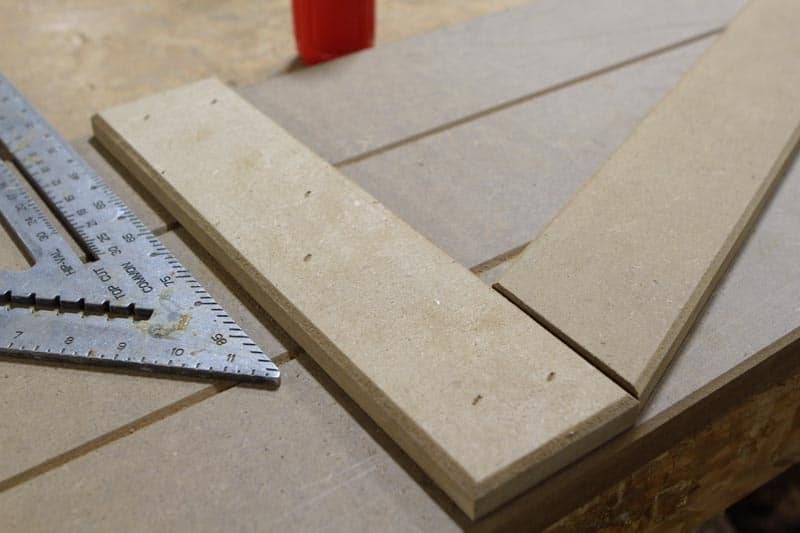 Adhering components with quality adhesives and proven joinery techniques is essential. Finally, a top choice base primer and outdoor grade paint need to be applied according to manufacturer specifications. When exposed to moisture, all raw woods will eventually absorb that liquid which leads to decay. Just like a painted home, wood shutters need to be regularly assessed for failure points in the finish. Pine shutters have the benefit of real wood grain, and are expected to give several years of service. Pine can be the best material for exterior shutters for the application if the climate is relatively mild with minimal temperature fluctuations. 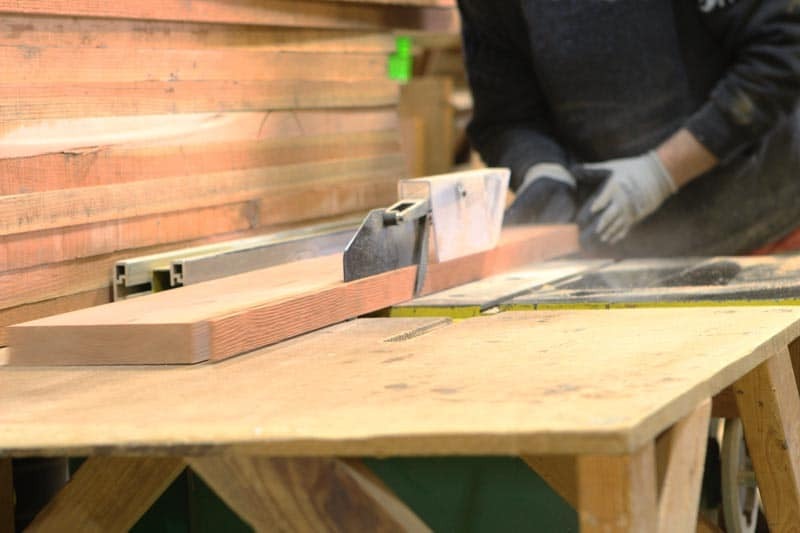 However, Pine is a soft wood that expands and contracts more than other woods with season changes, making them more susceptible to water damage. California Redwood is much more dimensionally stable than Pine. It has a natural resistance to decay because of its lack of resin, and is a fairly lightweight straight wood with a tight, even grain. 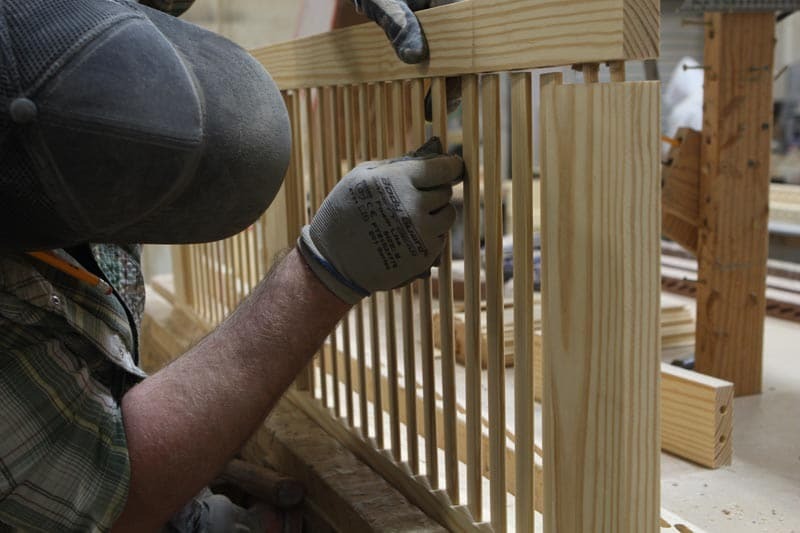 Cedar wood shutters have a slightly longer predictable life than Redwood. Western Red Cedar is the most common material for construction of exterior shutters because of its resistance to both insects and decay. It is a straight wood that finishes very well and can withstand harsh outdoor conditions well. Cedar has a great reputation for use on all sorts of outdoor projects – decks, railings, patio furniture, pergolas. Because of these features, Cedar is the most common material for building exterior shutters in the industry. Mahogany is the best material for exterior shutters if one has the budget. If a project calls for a natural finish or stain, African Mahogany is a gorgeous choice with its straight, tight reddish grain. This sturdy lumber is extremely strong and resistant to moisture as well. Exterior shutters, regardless of material, require regular inspection (we suggest once a year) for cracking or peeling paint which will lead to a shortened life. The most affordable material for exterior shutters is vinyl. This low-cost alternative to the authentic standard shutters provides an easy aesthetic enhancement to almost any window. Exterior composite shutters are perhaps the best overall value. These sturdy shutters more closely resemble the authentic wood design. An extended life expectancy bolsters the appeal of perhaps the best material for exterior shutters. The price of exterior shutters constructed from wood depends on the species in which they are built. ShutterLand sells four wood varieties, priced primarily based on their durability. Five window shutter styles dominate American homes. Those styles are selected by homeowners based on appearance, building architecture, regional influences, historical mandates, and availability. Louvered shutters are easily the most common and widely available. The raised panel style is popular throughout the country with board and batten shutters in a close third, garnering a growing market share. Combination shutters employ both louvers and raised panels. All of the top four styles are manufactured in all materials. Finally, Bahama shutters are largely installed in the southeast region of the United States. Bahama shutters are only practical with vented louvers, so are only assembled in wood. Spot this style in the Florida Keys, Mobile, Alabama, Biloxi, Mississippi, or New Orleans, Louisiana. Other shutter materials are available in addition to those listed here. We have found that fiberglass, aluminium, and other selections do not meet the requirements as well as those already mentioned. So what is the best material for exterior shutters? Now you know the selection is all based on application. We encourage you to do research and ask questions to make the best decision for your house or office building.